You already love chocolate and peanut butter together. Why not add a little something? We could pretend like this recipe is only the result of clumsy stumbling around – hey, you got weed in my chocolate and my peanut butter! 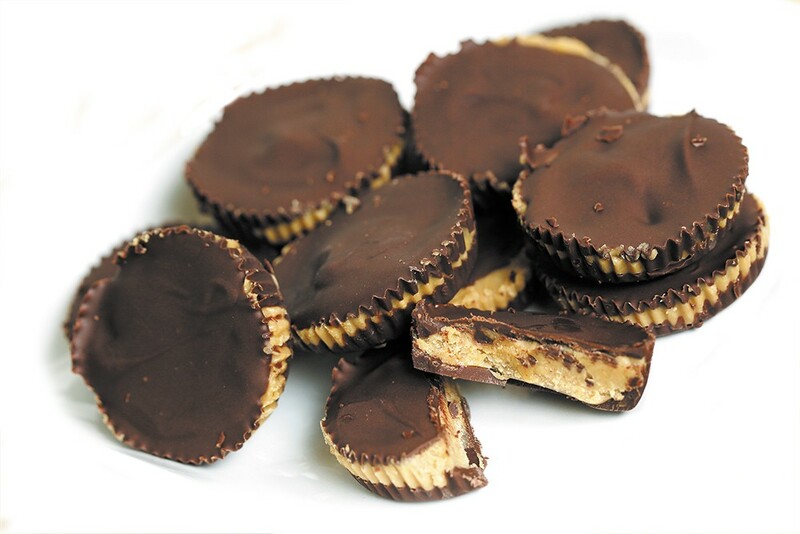 – but it's better just to state the obvious: Peanut butter and chocolate are a match made in heaven. It seems like a logical step to add a little something special to the time-tested combination. Mix the peanut butter, honey, maple syrup and 2 tbsp of weed-infused coconut oil in a different heatproof bowl and microwave for 15 seconds until it's easier to pour. Pop them out of the liners and they're ready to enjoy! Store in an airtight container for up to a few days in the fridge or even longer in the freezer. The original print version of this article was headlined "Power Trifecta"